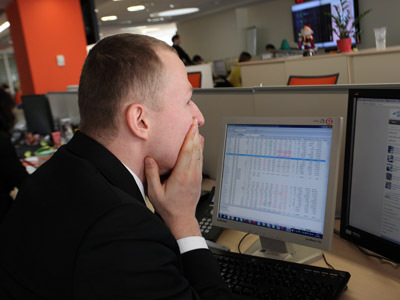 The Russian markets will be open Saturday, which is a working day in the country, with investors reluctant to make big moves in the absence of news from the US and Europe on the eve of Russia’s long May holidays. After a downbeat start to the week, when it seemed like markets would stay in the red following disappointing manufacturing data from across the globe and political fisticuffs in France and the Netherlands, they gradually rebounded from those losses to end the week just short of positive territory. 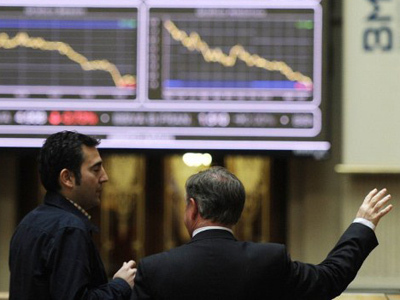 The Russian markets rallied on Friday. A bunch of corporate earnings beat expectations with state gas giant Gazprom reporting a 35% increase in net profit. Russian telephony provider Rostelecom also finished higher. Its net profit reached $570 mln in the last quarter of 2011, beating expectations. The RTS gained 1.27% and the Micex jumped 1.56%. “On Saturday the markets may see a correction ahead of a long holiday weekend”, says Ilya Rachenkov from Investcafe. The European markets closed to the upside on Friday, holding up well considering that on the last trading day of the week they had to digest a downgrade of Spain's credit rating from A to BBB+ with a negative outlook and worse than expected US GDP figures. The weaker than expected US GDP result, showing the economy expanded at an annual 2.2 percent rate in the first quarter, falling short of expectations caused a short-lived negative sentiment on the markets which totally waned by the end of the trading session. The strong performance by bank stocks was also a factor to push indices higher. Investors turned out to be not so pessimistic about Spain’s new rating and US macroeconomic data. The Spain’s IBEX 35 gained 1.69% after tumbling initially the same number of points, while France’s CAC 40 added 1.14% after a 0.6% drop and the German DAX gained 0.90% after a 0.5% plunge. Italy's 10-year borrowing costs increased at an auction on Friday, which increased concerns that the country may seek a bailout. Stocks on Wall Street rose as solid quarterly results overshadowed data on slowing economic growth. 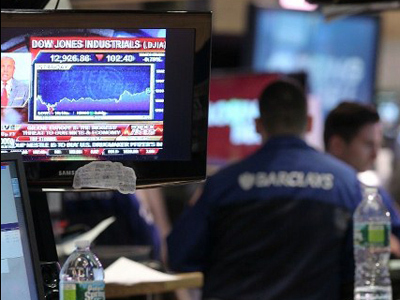 The Dow Jones Industrial Average rose 0.18%. 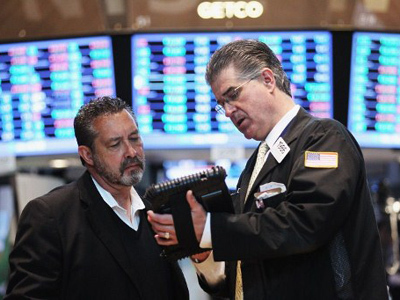 The S&P 500 Index added 0.24%, the Nasdaq Composite which rallied 2.3% for the week gained 0.61% on Friday.